The much anticipated advertisement we were involved with in the autumn with “Yorkshire Tea” is due for release nationally from Monday of next week amid great interest from the banding and local press. You can read all about the history of the event in an article published by the brass band website 4barsrest and also a feature in the local Huddersfield Examiner. 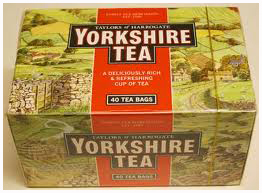 The timing coincides with the company’s sponsorship of the Test Match Cricket series with the Australians this summer which will further involve the participation of the Marsden Band and you can preview “Everything stops for Yorkshire Tea” before its release. You can also view a “Behind the Scenes” edition if only to identify some of the other participants! We have completed the project on behalf of the Chapter House Choir, York. The annual Christmas concerts by the choir are being moved this year from the Chapter House at York Minster to the nave of the minster to accommodate the demand for tickets for this popular event. The CD will be available for the choir’s concert at York, “Passiontide Splendours” which will be held on Saturday 16th March 2013 at 7.30pm. To learn more about the choir and details of this season’s concert, visit their website at ‘The Chapter House Choir’. We have completed three days recording with the Wakefield Metropolitan Brass Band in Yorkshire conducted by euphonium virtuoso Michael Howley. Prior to their final rehearsals in preparation for their appearance at the Yorkshire Area Championships next month, the band recorded a fine selection of music for their latest CD at the Gawthorpe Academy. It is anticipated that the CD will be available at the end of March. We have spent the last three days in the beautiful city of York recording the annual ‘Carols by Candlelight’ concert with the Chapter House Choir. After forty six years, the series of concerts was being performed by the choir for the final time in the Chapter House as they are moving into the Nave of the Minster next year to accommodate the increasing demand for tickets for the concerts. 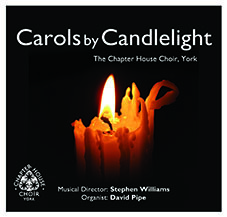 The CD of the highlights of the recordings will be available very soon and you can learn more about the choir and pre-order by visiting their website at www.chapterhousechoir.org. Our latest venture takes us into the world of advertising. The Marsden Band has recently been involved in the making of a new advertisement on for the famous brand “Yorkshire Tea” The company’s current advertisement features a liveried vehicle travelling across America but the next series will feature a traditional brass band in the beautiful Yorkshire countryside. We have been involved in recording the soundtrack for the advertisement which is being produced by the London based BMB Agency, bmbagency.com and which will be seen on television and in cinemas in the new year. You can learn more about the band at marsden-band.co.uk/. ‘Still Standing in Song’ is the latest release from the Hereford Police Male Choir and it follows their success in the BBC television programme “Last Choir Standing” some three years ago which prompted the release of their earlier CD with us. Their latest venture features some traditional items with a fine selection of newer music including a beautiful rendition of the Maori Lullaby ‘Hine e Hine’. To order a CD through the website please visit www.musichouseproductions.co.uk/music_shop.html. That’s Entertainment is the latest CD from St Ann’s Hospice Festival Choir, formed in 1994 and which now brings together some one hundred and fifty people and raises money for Greater Manchester’s largest hospice. The recording took place at St Thomas Church Stockport last month and the product will be available for sale at the choir’s Christmas concert which will be held at the Bridgewater Hall on Friday 14th of December. “Born is the King” is the latest CD by the highly successful Bolton based Millennium Chapel Gospel Choir. This Christmas album by the choir, directed by Rob Wilding, features some new works and also includes a number of songs by the Bolton Junior Youth Choir. It will be available in good time for Christmas and you can learn more about the choir by visiting their website at www.mcgc.co.uk. We have had an enjoyable weekend with our friends from the Hereford Police Male Choir where they have completed their second recording with us at the beautiful Shire Hall in the city. Their new release features a fine selection of traditional music in addition to some fine more modern repertoire. The CD will be available for Christmas and you can learn more about this successful choir by visiting their website at www.herefordpolicechoir.org/news.htm. Many thanks to our hosts for their wonderful hospitality. We have completed the work on the latest CD by the Band of The Royal Regiment of Fusiliers based at Newcastle upon Tyne. Entitled “A Diamond Celebration” the music was recorded in Scotland in the summer and features a number of solos from the band in addition to music as diverse as Malcolm Arnold and Stephen Schwartz . It will be available shortly from our online shop.